Based on sales at independent bookstores nationwide for the eight-week period ending October 15, 2017. 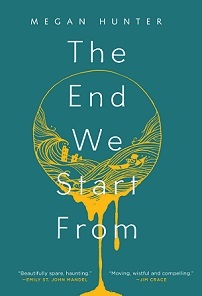 Booksellers have chosen the dystopic debut novel The End We Start From by Megan Hunter (Grove Press) as their November #1 Indie Next List pick. Nic Stone is the author of Dear Martin, a Summer/Fall Indies Introduce pick for young adults that follows Justyce McAllister as he explores his feelings on race through letters to Martin Luther King Jr. Independent booksellers across the nation have chosen Nevermoor: The Trials of Morrigan Crow as a top pick for the Autumn 2017 Kids’ Indie Next List. Based on sales through more than 300 independent bookstore locations participating in the Libro.fm audiobook program during the month of September. Jeannie Vanasco’s The Glass Eye is “an absolutely beautiful exploration of family, grief, memory, and madness,” said Jamie Thomas of Women & Children First. 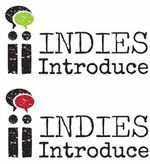 Booksellers who are planning to participate in the Winter/Spring 2018 Indies Introduce program should sign up now and stop by ABA’s booth at the regional trade shows to check out the new crop of titles. Jake Burt’s Greetings From Witness Protection! “is a funny, entertaining, and original story about family, friendship, identity, and starting over,” said Lauren Savage of The Reading Bug. The new annual Indie Next List Holiday Gift Guide flier will feature bookseller-recommended adult and children’s gift books, including cookbooks, visual travel, photography, and art.